Southern folks in the USA sure do love their nuts - boiled, salted, or plain, or even made into an easy southern peanut soup dish. This vegetarian soup recipe is inspired by the more traditional peanut soups of old Virginia but is simplified for those of us who aren't true southerners. 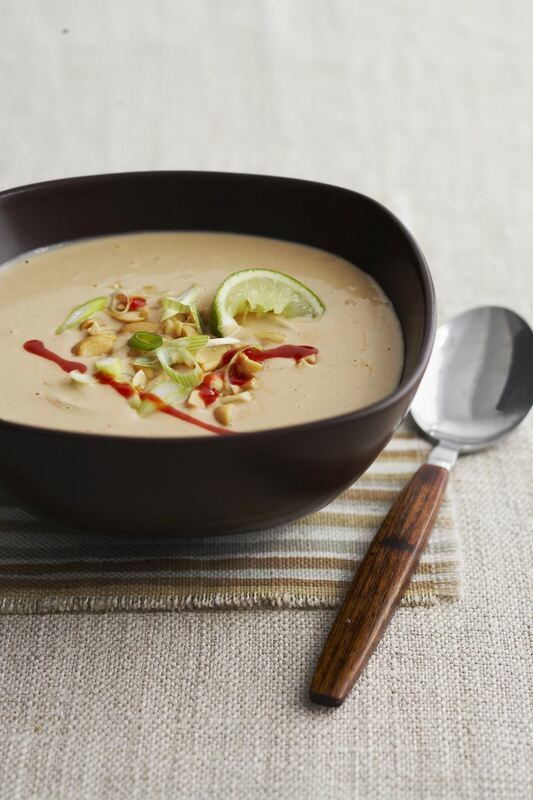 This homemade easy peanut soup recipe is both vegetarian and vegan. Saute the onion and celery in the margarine until they are soft, about 3 to 5 minutes. Stir in the flour. Add the vegetable broth, stirring to incorporate the flour and bring to a simmer. Reduce heat to low. Whisk in the peanut butter and soy milk, making sure that all the peanut butter gets incorporated. Stir in the peanuts and serve hot.